For many families, the kitchen and dining room is considered to be the most important common room in the house because it is where the family’s daily nourishment and meals are prepared and consumed. It is even where guests gather to socialize and cook together during visits to a family’s house. How can the choice of flooring and countertops enhance the overall vibes of the kitchen to make it stylish, clean, and enticing, in parallel with all the action that takes place in this space on a day-to-day basis? There are hundreds of combinations to choose from when it comes to picking the colors of your terrazzo marble tiles. 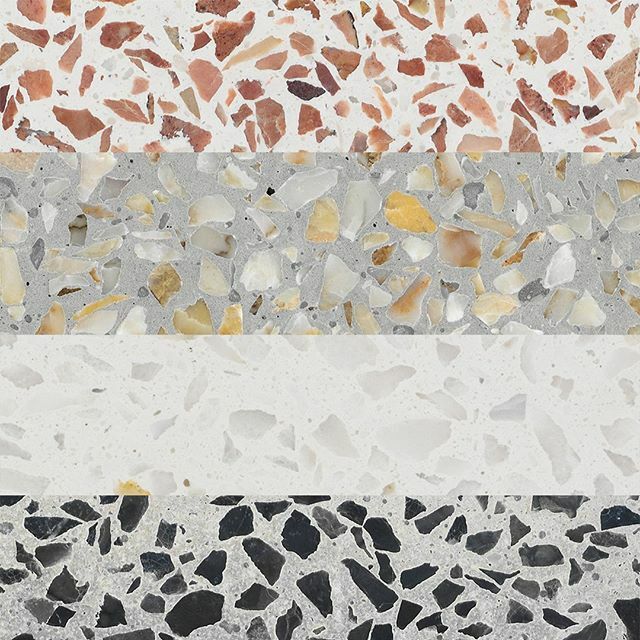 From dark-colored chips against a plain vibrant color to light-colored chips against a brighter shade, terrazzo marble tiles can define set the vibe of your kitchen. For the kitchen area, it is fantastic to go minimalist and choose light-on-light combinations. But, for the more glamorous and sophisticated finish, one can also choose darker colors or deep hues. Adding Wood to the kitchen design is a fantastic way to accentuate the elegant terrazzo marble tiles. Including other elements such as a rough cement finish or matte metal handles for the storage and cabinets are quick and easy to implement additions to enhance and complement the marble tiles in your kitchen. Now, this may sound too fancy, but there’s no doubt that picking the right kitchen equipment and appliances definitely will make your kitchen pop and stand out while matching your terrazzo marble flooring and countertop. For example, quality drop-in induction appliances such as ranges and griddles can and will make your marble countertop look classy and spot on. On the other hand, titanium finish for refrigerators and sinks sets a clear division from the “random” terrazzo patterns on the floor and the clean spotless finish of this equipment and fixtures. There are surely other ways you can enhance the vibes in your kitchen such as adding greens and planters or choosing the complementing sets of cutlers and plates, and these three items above are just some of the big elements you can consider to liven up and recreate your kitchen space.